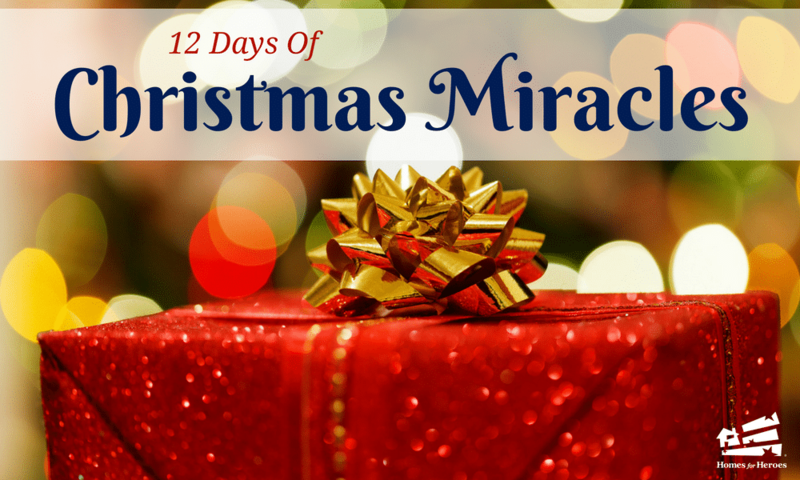 Day 12 of our 12 Days of Christmas Miracles honors a father who has raised his four kids and started a non-profit after losing his wife to cancer. Jonathon is active military and stationed in California. He has 4 kids (twin 10 year old girls, an 8 year old girl and an adopted special needs 4 year old son). Last year, the family lost their wife and mother to cancer of the appendix. She was only 29 years old. After his wife passed away, Jonathon started a non profit for foster children and has done many more amazing things. He has done all this despite raising four children by himself on military pay. For his dedicated service to others and to help him through this difficult time, Homes for Heroes Specialist, Jessica Devore, wanted to honor this hero with a Christmas Miracle. Jessica presented the family with a gift of $500 on behalf of Homes for Heroes. 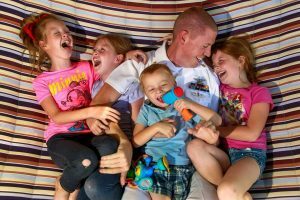 With this gift from Homes for Heroes, Jonathon will be able to provide Christmas presents for his four children to open on Christmas morning! The family sent us this video. Look at those smiles!